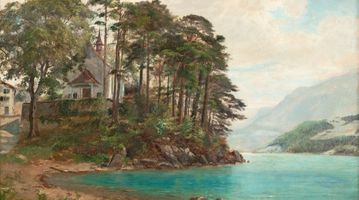 Ever so Faithful is not only the first solo exhibition of Edward L. Custer's works, but it is also one of the first exhibits to introduce a new voice of the Pre-Raphaelite movement in America. 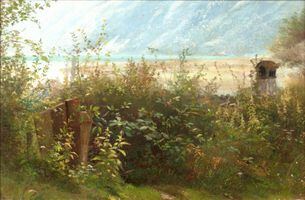 The botanical accuracy of native flora in the artist's mountain vistas and distant city panoramas recalls the draftsmanship of such artists as Frederic Edwin Church (1826-1900)—exemplified in such works as Burdock Plants Beside a Fence. 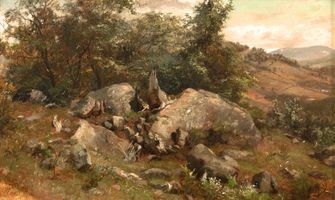 Featured most predominantly in the exhibition are Custer's enriched scenes of New Hampshire's White Mountains, as well as oil paintings of his summer sketching trips to Italy. 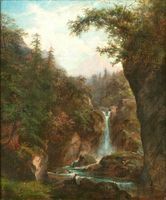 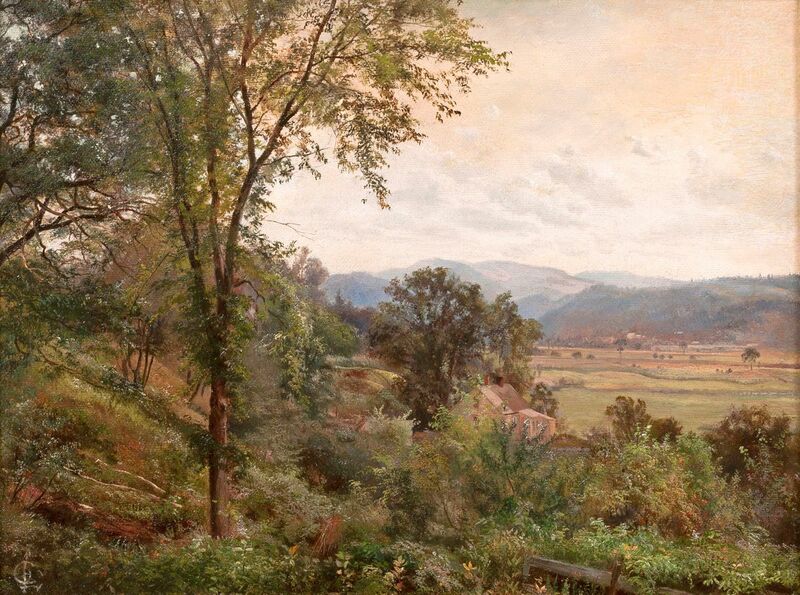 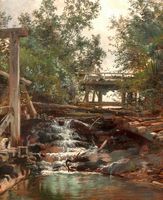 While Custer's landscape views of Albano are a testament to his European training and development as a painter, his New England scenes— such as Waterfall on Mill Brook; River Valley, NH; and Coastal Landscape—convey his finely attuned skill in rendering the American landscape with a penetrating realism befitting of the American Pre-Raphaelite painters. 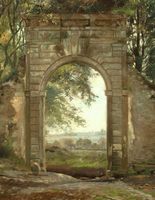 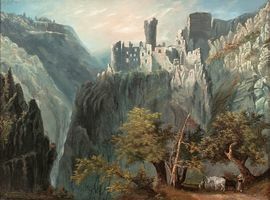 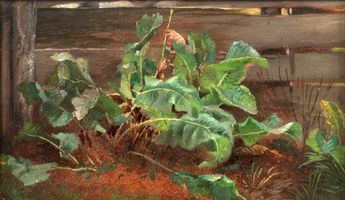 The group, which emerged in the early 1860s to champion site-specific documentation and truthfulness in representation, cultivated a hybridity of still life and landscape that stylistically distinguished them from the American artists of the previous half-century, as well as their English counterparts.